Layout construction photos are being added progressively into this section- keep on coming back to see which photos have been added. We we are planning to show this layout at the Milland Rural Fair on 2nd June 2019 and the Liphook & District Model Railway Club’s 10th Annual “Model Trains in the Valley” event on Sunday 17th October 2019. In the initial proposals for the “sustainable new town” of Whitehill-Bordon in Hampshire, much was made of linking the area to the nearby Bentley railway station, using the old track bed of a long closed branch line. Once consultants got hold of it, the scheme became a hugely expensive set of proposals, one of which was to move one of the nearby main lines to serve the area. Not surprisingly the light rail proposal got lost and in reality we have a “sustainable development”, which is rather perversely, entirely reliant on the motor car! 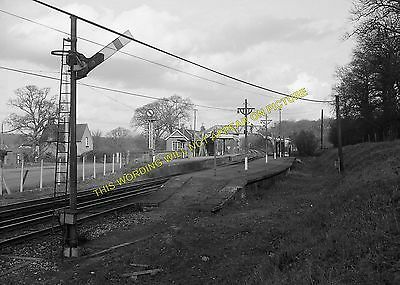 So this is another “might have been” model railway layout. On the layout we have linked the area to both nearby main railway lines, the Waterloo/Alton and the Waterloo/ Portsmouth line and in so doing have also improved its transport links to the large village of Liphook and the intermediate villages of Lindford, Standford and others. The scheme also shows the potential light rail gives to improve the local environment and reduce traffic problems, caused by school and shopping trips, without intrusive road expansion. 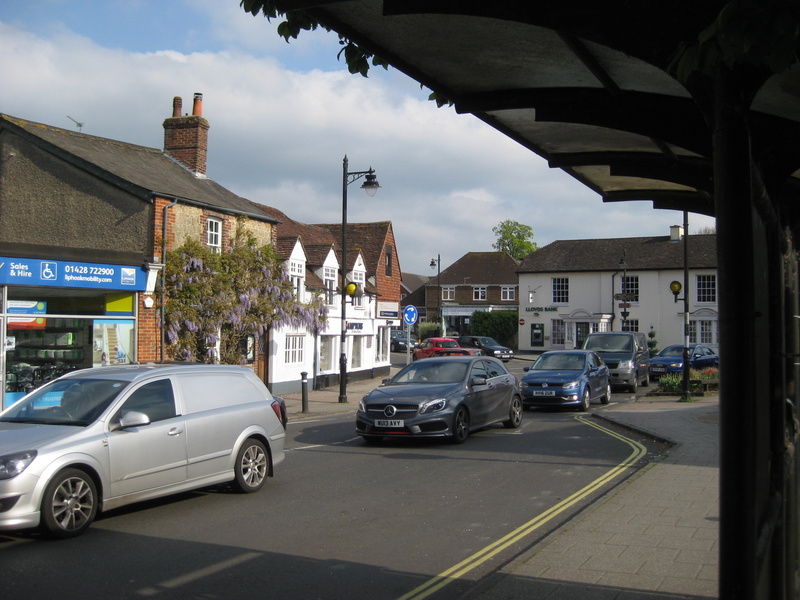 Your attention is drawn to the pedestrianised areas created on the layout around Liphook station & The Square and the provision of park & ride facilities at Liphook, Whitehill/Bordon and Bentley on main roads- A3, A31 etc in the area. 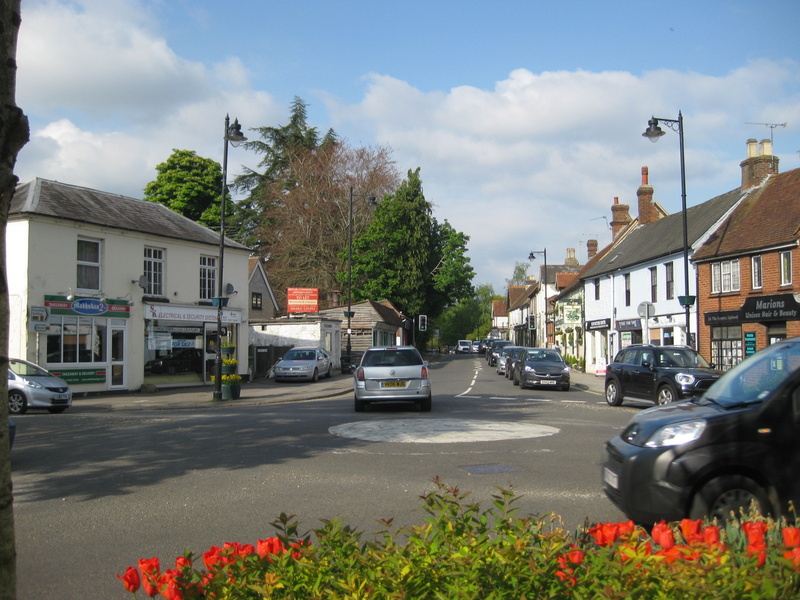 There are a number of “scenes,” representing how a light rail link might look in Liphook (Railway station and The Square); Crossing the A3 bypass/Liphook Park & Ride; Whitehill-Bordon/Park & Ride and at Bentley railway station/A31 Park & Ride based on schemes already in place in mainland Europe and in some UK cities. The layout is built to N scale using ready to run Japanese tram models to a scale of 1:150 and British kit and scratch-built models of buildings & road transport vehicles scaled at 1:148. As a means of “selling” new local transport plans, the role of an operational diorama is rarely seen. Many UK citizens have never ridden in a modern tram or seen them in a UK town. They can’t imagine it in their town, so they easily can dismiss it as a viable option. Each scene built into one Ikea type Toy Box. The following descriptions refer to the scheme as envisaged for the MODEL tram layout. There is no real life scheme for the changes shown on the model or for a light rail line, so no “Stop the Tram Groups” or letters in the local press please! There will be descriptions accompanying the modules to explain the scheme, when exhibited. The space to the right is where, on the model, the tram terminus platform will be. The taxi office and the old (now unused) gents urinal will disappear from its current location to form a “concourse” between the current railway platform and the new light rail terminus . 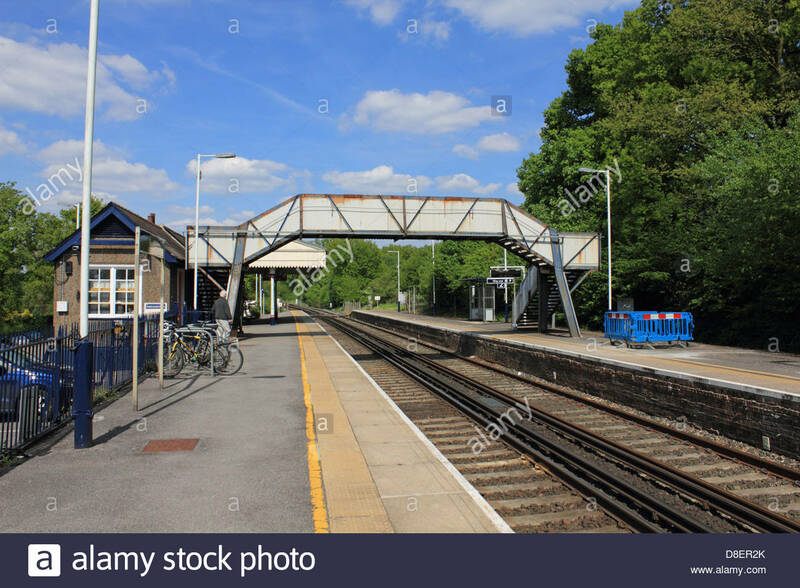 The current footbridge will be replaced with a new covered structure with ramps and/or a lift to reach each railway platform from the tram terminus. To give space for the light rail terminus, cars and taxis will not enter or exit from this direction, but via a new entrance/exit to the car park from Midhurst Road. The model will show on the right a three storey building with shops/offices on the ground floor “end on” to the tram terminus and residential accommodation on 2 storeys over. There will only be minimal extra car parking to discourage commuter car use, which will will bear left out of this are into pedestrianised Station Road, before turning right into Portsmouth Road. (This section is not covered in the model) The existing railway station will be demolished and the existing platform will be raised to meet modern standards of virtually step free access onto main line trains There will be a new building of three storeys with residential accommodation in the two upper stories with a concourse waiting area, railway & tram ticket machines , taxi office, and public toilets on the ground floor. A small HQ office building for the light rail operating staff will bridge the current approach to the station forecourt, which will be pedestrian/light rail access only. The existing trees will be replaced with mature tree planting around the light rail terminus and adjacent residential areas including Station Road. The square formed in front of the station will be tree lined on its boundaries and called Brassey Square after Thomas Brassey the railway contractor. His navies constructed the Portsmouth Railway line from Godalming to Havant as a private venture, which was almost immediately transferred to the L&SWR to operate. The double track tram line would appear from the far left- along Midhurst Road, and would then travel through a complete pedestrian area in front of the Royal Anchor (i.e. no through traffic route) A Tram stop will be located, along Midhurst Road, to give step free access to Sainsburys and Millennium Centre (not modelled) . 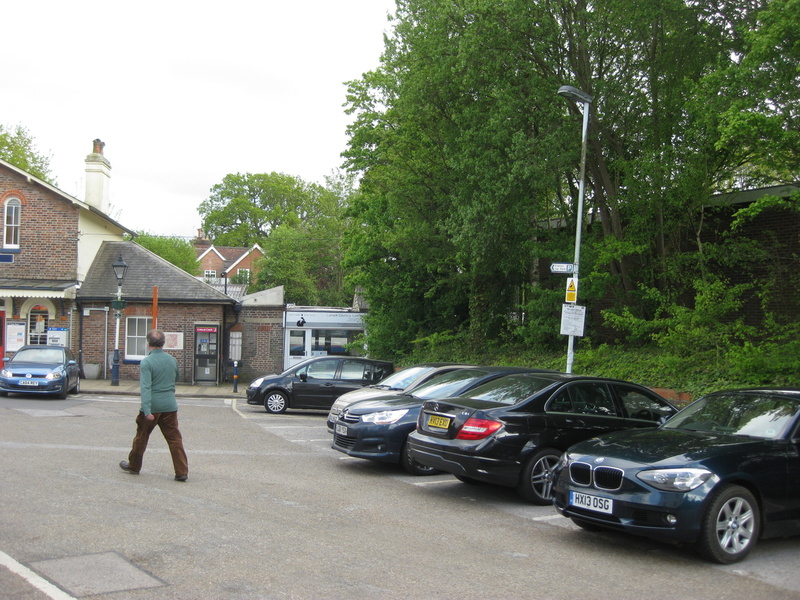 The Midhurst Road car park would be partially redeveloped as a community open space whilst retaining vehicular and pedestrian access to the community centre and offices . Another tram stop will be located in The Square. The planned replacement of the Village Surgery will give an opportunity to provide a pedestrian access from Portsmouth Road to Midhurst Road with some residential development. The tram will turn left into Longmoor Road. London Road is dead ahead. This junction will become a T road junction with mini-roundabout removed. Next tram stop will be at Bohunt School. The double track tram line will continue on to cross the A3 at right angles on a concrete bridge containing an island tram platform which will serve a Park & Ride facility with direct access from Southbound and Northbound lanes of the A3. The tram depot will be a Peco diesel loco shed kit or similar with pits etc. Multi-storey car parking, bike racks,bus interchange. Shopping units, Office buildings and Industrial units. The station building as seen from the bay platform will be modelled in low relief. 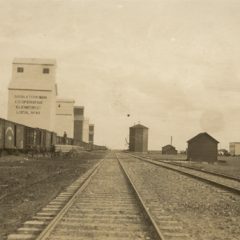 The footbridge will be replaced with lifts or ramps. Late March 2017 Subsequently have ordered and received from Osborne’s Models in the UK another similar two car unit. I found building a layout into the confines of the boxes increasingly difficult, particular in getting close alignment between each “box” to lay track across. A complete rethink was required. 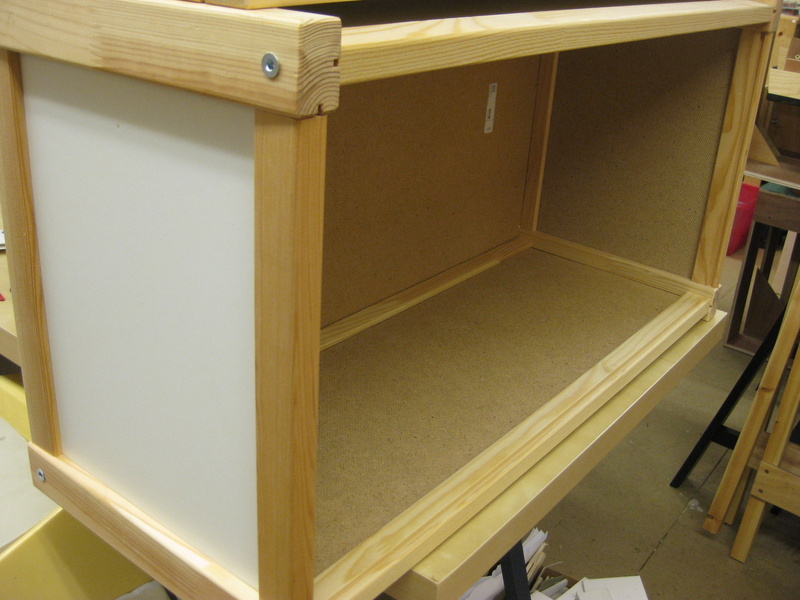 I had unused two 1200 x 500 and one corner unit in conventional baseboard frames, constructed in CLS timber. With only an extremely small additional section to construct, this provided a similar overall size but with only 3 baseboard sections to contain the 5 scenes and a much easier prospect for track laying and transport. The Ikea style boxes will be used for one off diorama scenes.